I can't believe the sun is finally shining again here in Sydney. After so much rain and endless grey skies things are finally brighter. 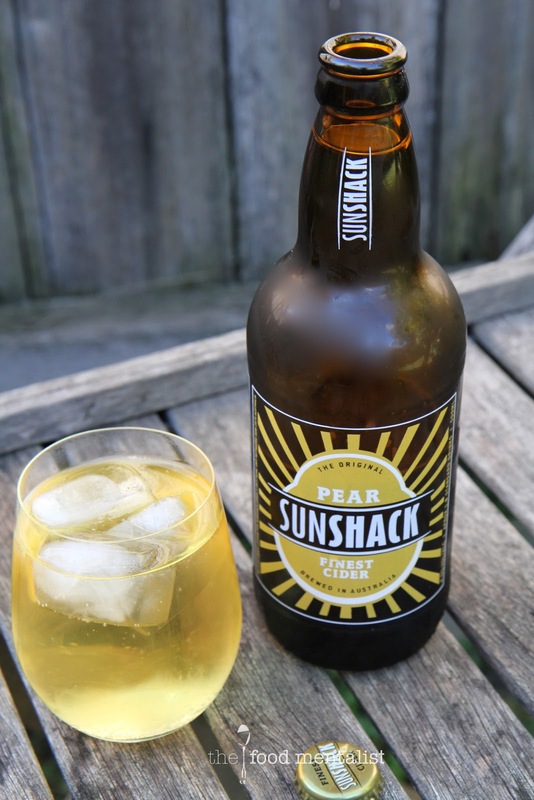 Aptly, this week's cider is called Sunshack and it hails from the Southern Highlands here in New South Wales. Made with sandstone spring water, this golden drop sings of summer and refreshment. It has strong pear aromas and fruit flavours and a lovely balanced acidity. It has a rather noticeable effervescence, perhaps a little too much for my liking but the flavour more than makes up for this. Its sweetness is proportional to the pear flavours and it has a dry astringent finish which works really well. Pair this one with a a good dose of sunshine, generous cheese platter and friends. It will also pair well with white meats, and roasted caramelised root vegetables. When roasting your vegetables, throw in a dash of cider - it really adds a lovely flavour. Yum. I love the larger bottle as it's the perfect size to share! 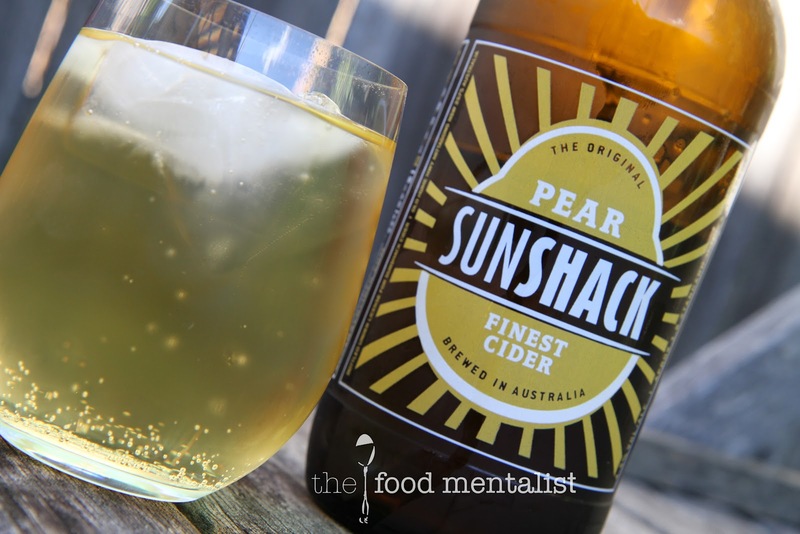 The Food Mentalist purchased Sunshack Pear Cider @ Camperdown Cellars, Sydney: $4.99 for a 500ml bottle. Tell me, what have you been up to today? Yay for Sundays! Pear cider? I love it. 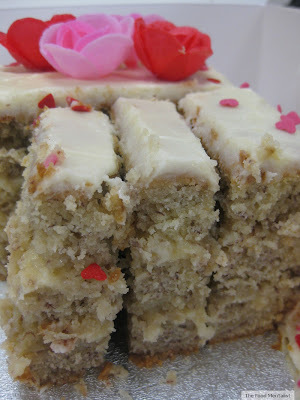 I must go on the hunt for some of this. Gorgeous day up here too. I'm so jealous of the sunshine in Sydney! It's been pretty gloomy and disgusting in melbourne sighhh oooo where did you get this Cider? My man would LOVE this!